i am still curious about his acting based on those two highlights. I read in youtube jtbc drama and tv naver, all the comment by korean netizen were all good despite they just complain the fashion of Mirae. Lee Young Ae will be making a cameo appearance! Hi, I'm going to watch this. Hope it's good. I started the webtoon and I was surprised because the webtoon character actually looks a bit like Im Soo Hyang (if you can get past the cartoonish drawing of course). I hope it can be a good reminder about why what's inside is more important than what's outside. Hi, there, y'all! Be joining this thread as well, hope this is gonna be good since I know this was based on a webtoon and haven't read it so I don't know what to expect^^. Looking forward to it. 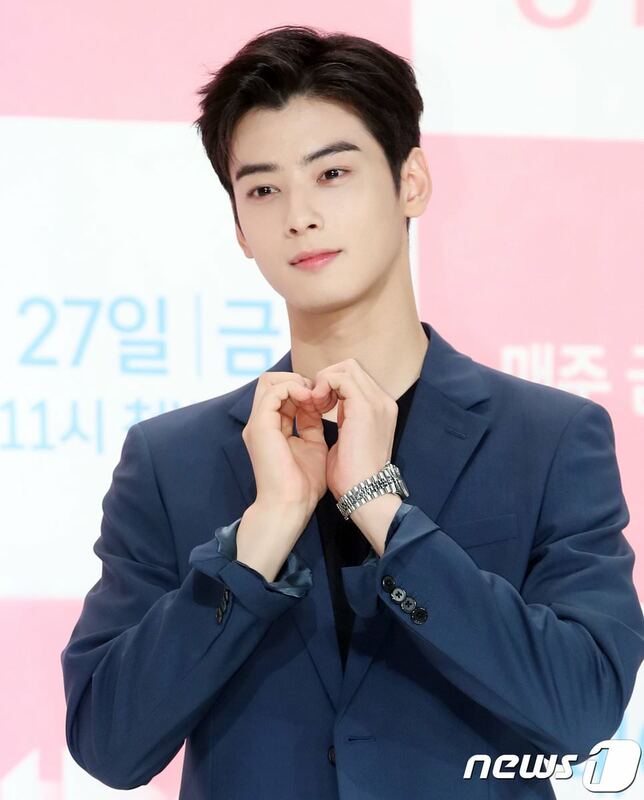 Gotta admit, Cha Eun Woo is such an eye candy..lol..especially those long lashes^^. His eyes kinda reminds me of Mackenyu..
First impressions: Promising start. The childhood and middle school scenes were heartbreaking- incredible how cruel and heartless people can be, and we may not realize it ourselves. I liked how realistic the college scenes and characters were, including that one douchey and overbearing senior. On a shallow note, lee young ae is as drop dead gorgeous as ever. after reading a few parts of the webtoon, i really hope they make the lead female stronger... but seeing the synopsis, her insecurities have been eating at her for a long time so it would be in character to be timid, vulnerable, and even gullible to others. Tbh, I'm not sure I can even finish this webtoon... it's just... so hard to read her getting hurt and not even blaming the people hurt her... it's always her fault in her mind, and i hate that they're preying on her. I'm kind of scared of seeing the drama, but I will watch it with subs later. Hi everyone. I'm new on this thread. Saw the two main lead on knowing bros and it brought me here. I didn't know it was a webtoon, but got interest in the storyline and found Cha Eun Woo hilarious in the best hit, even though you barely see him. Looking forward to this journey with you all and seeing how this drama will turn out. i watched the first episode last night it was so good i haven't read the webtoon but i can feel somehow it was made well, the teenagers scene was so sad and heartbreaking and i really love how cold but charismatic do kyungsuk is! omg i just fell in love with his personality haha and Sua ! seems a good girl to me i like her and wow im soohyang acting! is super good! kang mirae really matched her. I haven’t watched this drama yet but it looks like it will be fun. I didn’t read the webtoon but still looking forward to the drama. Oh God, the pressure to drink in college in korea is the worst. And the alcohol culture in korea is generally very toxic. I love Dohee. Glad to see her in another regular drama. Hope this drama gets decent ratings and we can see her in more stuff. Watched the episode with English subtitles and I'm liking it. I haven't read or seen the webtoon, but yes, that Soo Ah is really getting on my nerves already. You can totally see her fakeness. Especially that part when she approaches DKS and says she's drunk. I love how he responds to it. Lol! Starting to really like DKS's character and hopes he stays that way to become the stronger person and help KMR. She's extremely weak and low self-esteem.